Churchill Fire Department work to clear a scene. Las Vegas Freeway crash from the front showing the massive traffic queue back up. Nevada Freeway Service Patrol partners with State Farm to provide motor assists to motorists. Depending on the time of day and location, incidents create 55-60% of the congestion on highways in Nevada. Identifying the severity and location of a crash can significantly shorten the response and clearance times, it may even save lives. An accident that occurs as a result of congestion or distraction from a prior crash is referred to as a secondary accident. Exact figures on the number of secondary accidents are difficult to calculate. Preliminary results of a study by UNLV indicate that as many as 22% of all incidents in the Las Vegas region are the result of an earlier crash. Secondary crashes can potentially be more serious than the original crash as motorists become impatient and distracted with their driving. National studies show that as many as 18% of secondary crashes result in a fatality. TIM Coalition meetings are open to all active incident responders involved in traffic incident management. Stay connected with the Nevada TIM Coalition(s) in northern Nevada, southern Nevada, Winnemucca, Elko, Ely and Tonopah! Click here to view the interactive events calendar and register for upcoming events. A one-page list of 2018-2019 TIM events can be viewed here. Watch our 2018 TIM Safety Training video here. Learn about the Nevada Open Roads policy here. View new TIM legislation here: here. Multi-agency, multi-disciplinary training for various aspects of traffic incident management is offered by members of the TIM Coalition at regular intervals. Trainers are FHWA certified and approved by the Nevada Department of Public Safety and Nevada Department of Transportation. Please check the calendar of events for specific training locations and times. TIM training is open and free to TIM Coalition Members. volutpat luctus eros ac placerat. Isque erat metus facilisis non felis eu aliqua Dquam. 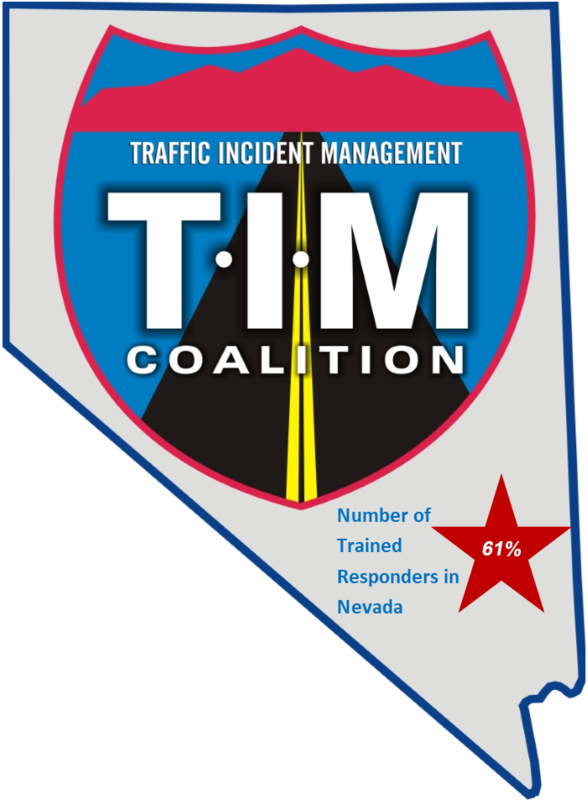 Welcome to The Nevada Traffic Incident Management (TIM) Coalitions exist to coordinate and sustain an effective multi-agency, multi-disciplinary and multi-jurisdictional TIM program that improves safety by training together to implement safe, quick clearance of crashes. Early removal of vehicles, debris and injured parties has demonstrated a significant decline in secondary crashes and saves lives of first responders, incident victims and other motorists. The TIM Coalition provides bimonthly meetings, a forum for discussions, incident debriefings for educational purposes, and an opportunity to develop multiagency policies and procedures that demonstrate enhanced coordinated response times for removal of incidents to prevent secondary crashes and minimize traffic congestion.